When I was in the first few months of my hypothyroidism diagnosis, I was suicidal. My quality of life was so poor at twenty-one years old, that I couldn’t bear the daily pain (mental and physical pain) that I woke up with every morning. I just wanted it to end. The 10th September is known as World Suicide Prevention Day, a day dedicated to the prevention of suicide and raising awareness around the subject of mental health. If you know someone who may be struggling to cope right now, today is the perfect opportunity to open the discussion on mental health. In Thyroid UK’s 2015 survey, over 50% of the hypothyroidism patients who took part said they also had depression. And the rate of anxiety with thyroid conditions isn’t much different. Living with thyroid conditions such as hypothyroidism and Hashimoto’s can be very difficult. Whereas some patients do just fine on standard thyroid medication, many do not, and it leaves them in a limbo state of society expecting them to function as well as everyone else, whilst their life starts to crumble and deteriorate around them as they try to keep up. Physically, the fatigue of hypothyroidism can be overwhelming, along with muscle pain and the many other symptoms, but mentally, thyroid patients can really struggle here, too. 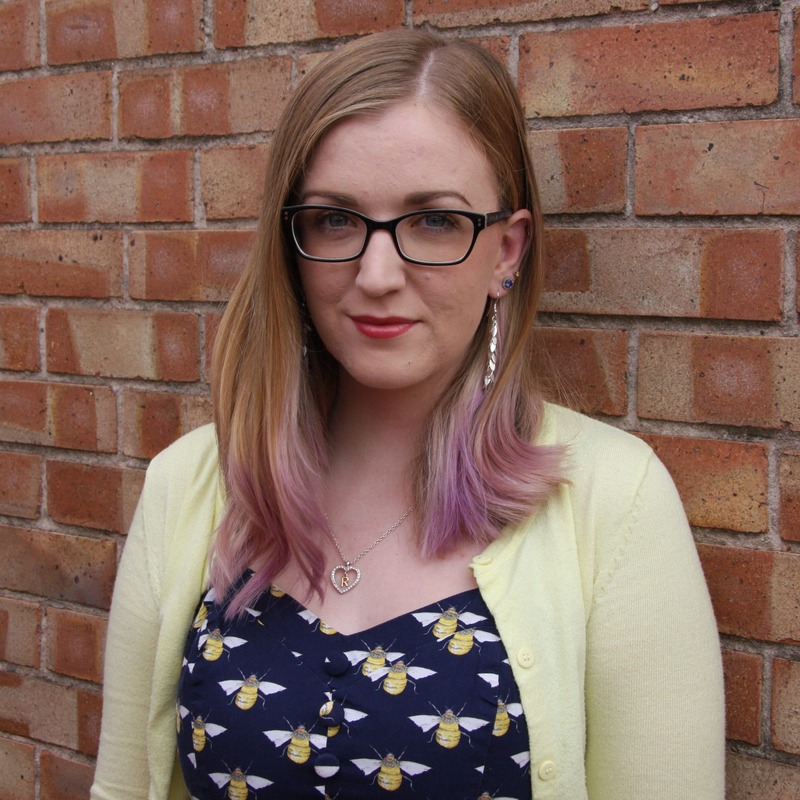 I felt incredibly alone after standard thyroid medication failed to help me. The longer I was on Levothyroxine and the longer doctors declared my test results to be ‘normal’, I became steadily more unwell. 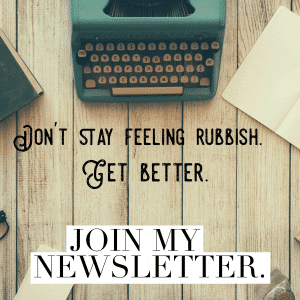 Collecting more and more physical symptoms of hypothyroidism each week, my mental health was also taking a battering and every aspect of my life was falling apart from my inability to keep up. I couldn’t keep myself together anymore, crying everywhere and anywhere at everything and anything. I was angry and frustrated with no one being able to give me answers as to why I still felt so physically ill, but I also felt numb and hopeless a lot of the time. I felt as if I was sat in a well, a well so deep that when I looked up, the sky was so far away it was tiny. And it felt like I would never get out. It felt like I was only ever going to get worse. Deeper and deeper in to this dark well. With doctors telling me that my physical symptoms were ‘all in my head‘ and refusing to help me with my thyroid condition any further, I reached a point of being suicidal. I was desperate to die and end the pain. I was a twenty-one year old who needed her other half to carry her up the stairs. I was fed up of my work life being so affected that I often missed multiple days a week of work, being bed-bound from the intense fatigue so heavy that even when I was awake, I felt as if I was asleep. And I was fed up of being alone with no one interested in helping me recover my health and life. I felt as if I was dying physically and mentally I was getting closer to giving up, too. 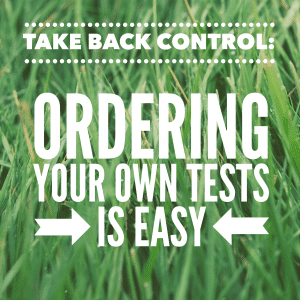 With the help of my now husband, I eventually started to recover my health when we moved me on to a better thyroid medication and started doing a lot of research ourselves, implementing changes, more comprehensive testing and even seeking out a private, functional medicine practitioner. 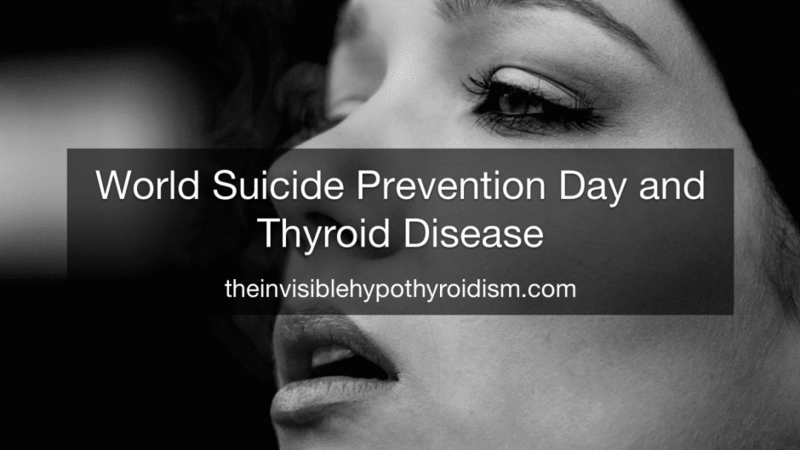 But many thyroid patients are still left suicidal and struggling with their mental health every day by medical professionals who let them down in treating their thyroid condition adequately. I dread to think how many may have even acted on these feelings, when they were in part suicidal due to a missed thyroid condition or inadequately treated one. 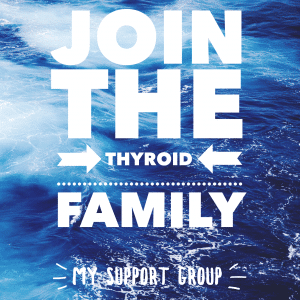 In thyroid patients of all ages, many of them may be labeled with psychiatric issues such as depression, when they are actually due to hormonal insufficiencies such as adrenal fatigue or hypothyroidism. In one study, it was concluded that by correcting the underlying hormonal imbalance, many patients’ mental health improved, with some patients having a total reversal of psychiatric symptoms. The truth is, many thyroid patients are under treated still and much of mainstream medicine lets them down. Outdated, huge ranges for test results and doctors not even testing a full thyroid panel, leaves their thyroid levels below optimal. And we know that most of us find we feel best with optimal levels. Often, T4-only medication (such as Synthroid and Levothyroxine) raise Free T4 levels but due to conversion issues, don’t raise Free T3 levels in the same way. And T3 is the major link between hypothyroidism and mental health conditions. This is because T3 has an important role in the health and optimal functioning of your brain, including: your cognitive function, ability to concentrate, mood, memory and attention span and emotions and ability to cope with life’s stresses. T3 interacts with brain receptors and makes the brain more sensitive to chemicals such as Serotonin and Norepinephrine, which affects your alertness, memory, mood and emotion. Let’s not forget Hashimoto’s, either. Hashimoto’s, prevalent in about 90% of us with hypothyroidism, is reported to cause swings of TSH, with hyper and hypo symptoms to match. 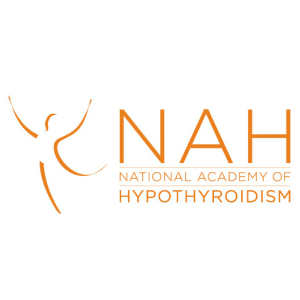 Hyperthyroid symptoms can include hyperactivity, anxiety, irritability and disturbed sleep, whilst hypothyroidism often causes fatigue and depression. Do those swinging symptoms remind you of anything? Bipolar Disorder perhaps? Also known as manic depression, it could well be suggested that Bipolar diagnosis’ are actually masking Hashimoto’s cases, where patients swing between hypo and hyper symptoms, as the thyroid is attacked and destroyed, and thyroid hormone is released into the bloodstream in waves. 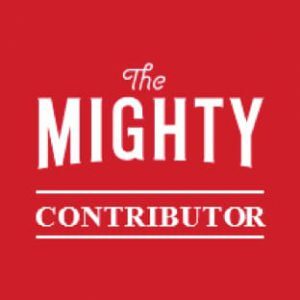 I’ve never been one to sit quietly when it comes to discussing thyroid conditions and mental health, so on World Suicide Prevention Day, I had to share my thoughts and concerns for others out there with a similar story to mine. 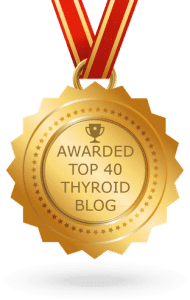 If you’re struggling with your mental health, please ensure a full thyroid panel is tested, especially if you feel no better on standard t4-only thyroid medication. Explore other options. Suicide should not be an option for a condition that can be managed. 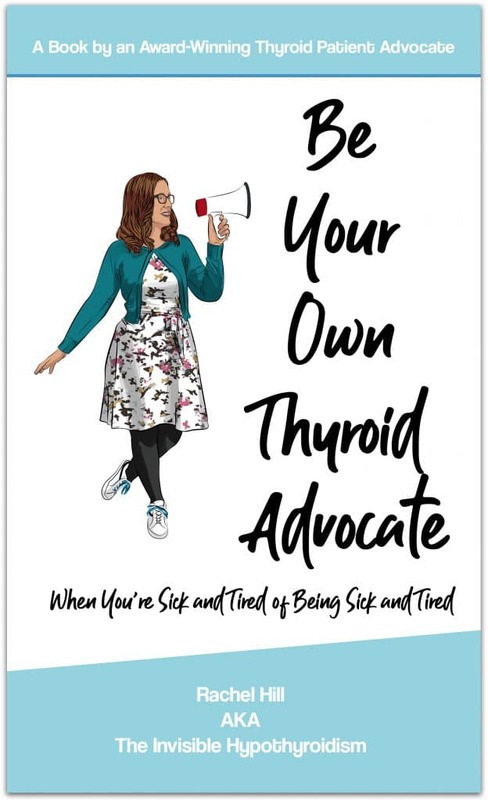 Embracing being your own thyroid advocate and taking your health back in to your own hands is hugely beneficial to every thyroid patient. And changing thyroid medication could well save your life, like it did mine. I know I wouldn’t still be here had I not addressed that Levothyroxine was leaving me under-treated and suicidal. 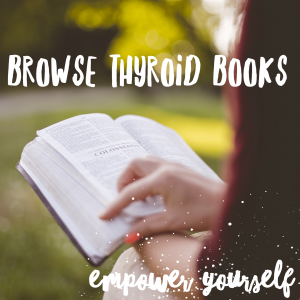 I love this blog, so clear and brings a lot of thyroid issues together making a lot of sense. thanks Rachel.